Did you know that you can start learning English today, for free, from home? It may seem crazy, but there are many free online English courses you can start today! Best of all, many of these courses are taught by professors from some of the best universities in the world. Today, we’ll learn more about these classes, and how you can enroll in one and start learning today! MOOC is short for massive open online course. These are courses that are online only, and most of the time they’re taught by professors at accredited universities. Some of these classes may even be taught by professors at the world’s most prestigious universities, like Harvard or Yale! Sometimes, you must pay to take these courses. But, most of them are free for anyone to take. These days, it’s easy to find MOOCs from several respected providers, including elite universities. Sites like MOOC List allow you to search for MOOCs based on criteria like the subject the course focuses on, the company or school that is offering the course, start date, and how the course has been rated by others who have already taken it. This makes it easy for you to find the best and most convenient MOOCs for your needs. As you may imagine, this stands for massive open online English course. MOOEC is a great place to get started because their classes are much shorter than traditional MOOCs. Instead of taking a course for weeks or months, you take specific lessons. Each lesson can be completed in a single session. MOOEC is based in Australia, so it’s important to keep in mind that certain spellings may be different from American English. Regardless, MOOEC is one of the best places for you to get started. 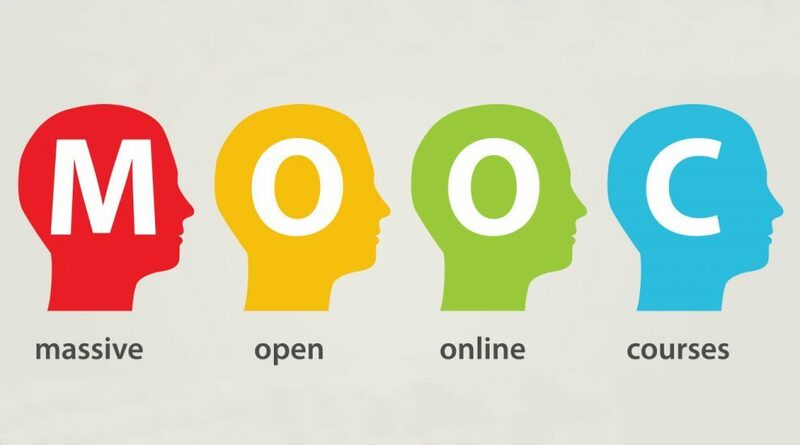 Open Learning is another valuable source for free online English courses. These courses may be especially helpful for people who are looking for more casual or entry-level courses. Some of the courses from Open Learning are taught by college professors, but many are taught by English experts who are eager to share their knowledge. Some classes are paid, but many of the courses available are free, and anyone can enroll. EdX is one of the largest and most popular providers of MOOCs, and many of the classes are taught by professors at high-level universities. In fact, EdX was founded by faculty members at Harvard and MIT. They provide several free online English courses as part of their curriculum. EdX allows you to take classes, or review course material after the course is finished so that you can learn at your own pace as well. Many of these classes are taught at a high level, so if you’re a beginner, you may want to try some courses from Open Learning or MOOEC before you enroll in EdX courses. Alison is one of the first MOOCs available, and they’re still one of the best. Alison offers hundreds of different classes that focus on language, science, marketing, math and social sciences. There are tons of different English classes available to people of all skill levels. Best of all, they’re free. Udemy provides a very broad range of different courses on all subjects, including English. Their courses can be a great resource for beginners, intermediate and advanced students of English. Best of all, students can learn at their own pace, so if you’re feeling overwhelmed, you can slow down and review the material. You’ll have to pay for some of the courses on Udemy, but they’re affordable for the most part. Many of the courses are available for free. Coursera was founded in 2012 by Stanford University professors, and it’s the largest provider of MOOCs online. While the courses available on Coursera aren’t free, they’re all very affordable. Coursera even has programs designed to provide you with the knowledge you’ll need to enter a new career field in one year. The cost of these programs is around $500. This is a huge value, considering that a year in college can cost upwards of $40,000. Coursera offers financial aid for students who are interested in taking courses but cannot afford them. If you qualify, you could take classes taught by prestigious universities for free. Canvas Network offers a variety of classes, many of which are taught at a high level. One of the cool features of Canvas Network is they encourage students to discuss lessons on their own time, which can be a great way to connect with other students to help each other learn the material better. In addition to the sites above, there are many other options for you to learn English online for free as well. While these courses aren’t offered by universities, or taught by professors, they can also be a great way to learn the English language. USA Learns is funded by the United States Government and provides free English lessons to anyone interested in learning the language. They offer courses in speaking, vocabulary, pronunciation, vocabulary, reading, writing and listening to English. This site can be especially helpful if you’re looking to apply for United States citizenship. The interactive courses available from USA Learns are perfect for beginner and intermediate English speakers. It can also be a great resource for more advanced speakers who are looking for some refresher courses. The NYPL provides free classes that help non-English speakers learn the language in a relaxed setting for beginner and intermediate English speakers. While these classes are only available in New York, the NYPL website provides some great resources for learning and practicing English at home. LEN Is a non-profit organization that teaches non-English speakers how to read, write and speak English. They offer many courses that focus on a variety of disciplines that you’ll need to learn to master English. Since their based in the UK, this site is a great resource for people looking to learn proper English. The BBC also provides a variety of fun and interactive courses that can help you learn English. Most of these courses are intermediate to advanced, so if you’re a beginner, this may not be the best place to start. But, for more advanced speakers, BBC Learning English is a fun and interactive way to improve your English. The information given by your blog is really very nice which enhance knowledge. We also want to draw attention towards our Free Online Course on Synchrotrons and X-Ray Free Electron Lasers. This course will start on March 5, 2018. This course provides valuable insights into this broad spectrum of scientific disciplines, from the generation of x-rays – via a description of the machines that produce intense x-ray sources – to modern experiments performed using these facilities.